It’s that time of year to deck the halls… and deck the decks! Festive-ness is in the air here in St. Louis and St. Charles, with a sprinkling of snow marking our transition to winter. Take full advantage of your deck, porch or gazebo during December by adding seasonal decorations to your outdoor living space. 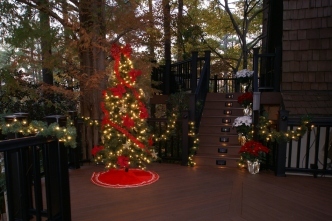 Begin by adding a small, live tree placed in the corner of your deck or porch. Decorate the tree by stringing outdoor lights and hanging weatherproof ornaments. Nearby, place poinsettias with containers wrapped in metalics, for striking color. 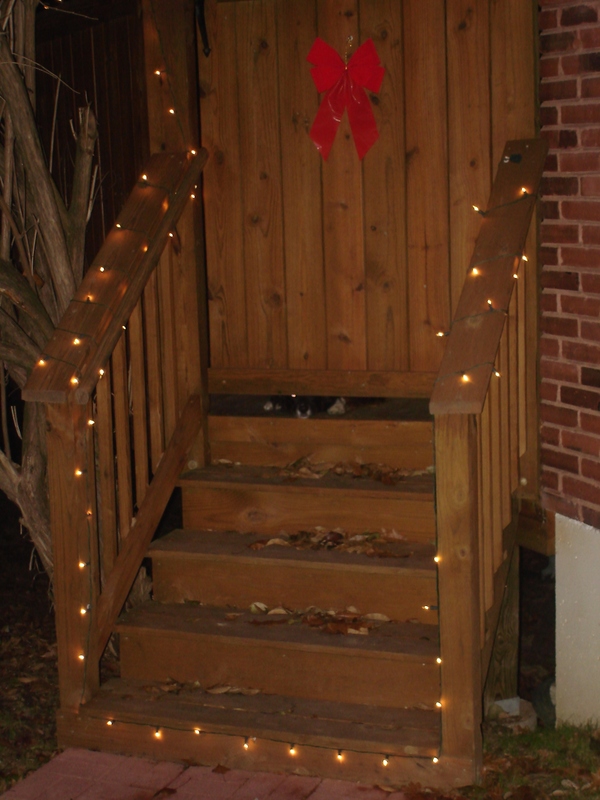 Drape roped garland or twinkling lights around and between your deck railings and posts, particularly around stair rails. Holiday wreaths or bows can be easily hung on privacy rails, deck gates, or screened porch doors too. At Archadeck, we build year-round, constructing decks and other outdoor living spaces, no matter the cold temperatures. If your outdoor living space is complete though — don’t forget to ‘deck the decks’ this holiday season. To see other holiday decorations for decks visit Archadeck’s recent blog post. And many thanks to our customer who contributed the St. Louis holiday photo. Did you notice the puppy peering underneath the deck gate?